An Annual look back at the amazing stories and characters from Marvel Comics! 100 Character Card Base Set with an additional 50 SP Cards. 5 Unique Top 10 Lists offer a countdown style highlight list of Marvel publishing Heroes, Villains, Issues, Story Arcs, and Fights! 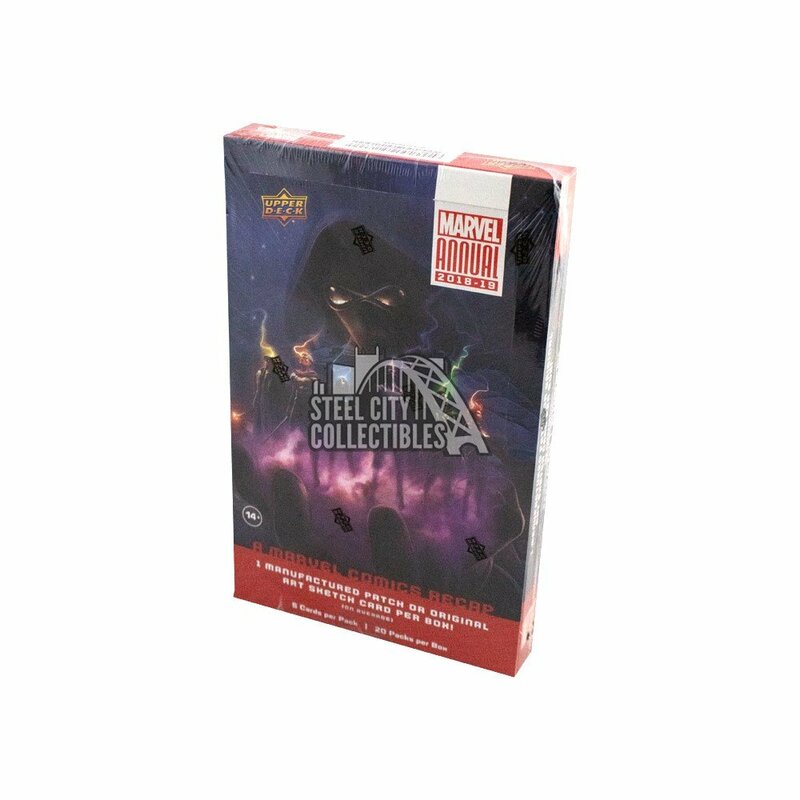 Inserts include In Memoriam, Rookie Heroes, and Infinity Wars Comic Cover Cards providing a retrospective of key events over the past year. Look for a variety of Manufactured Patch Cards (Single and Dual Character)! 1-of-1 Original Art Sketch Cards!